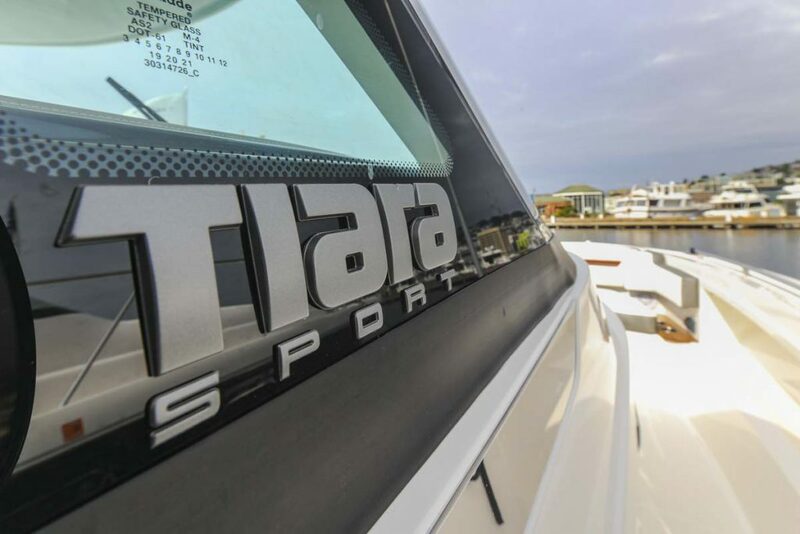 The Tiara Sport LS is the reinterpretation of luxury sport yachting, a fusion of sophistication with the demands of day yachting. 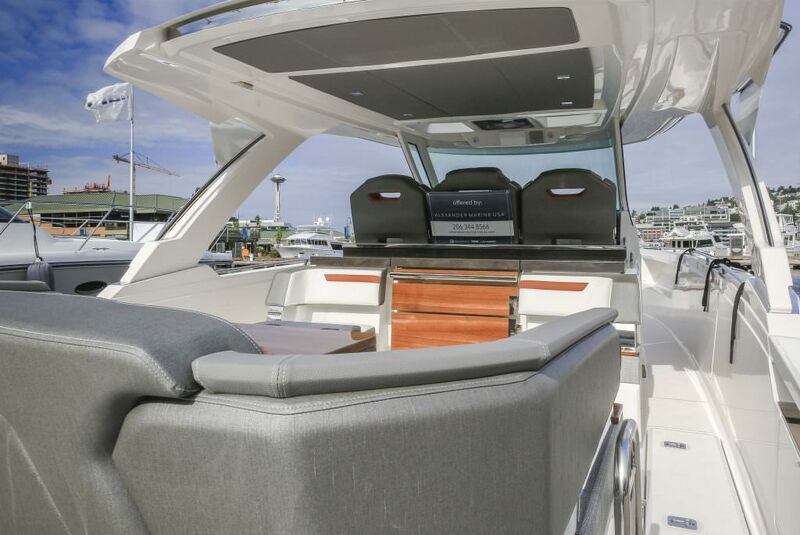 Walk-around capabilities lead you to multiple social zones or right to the water for your favorite activity. 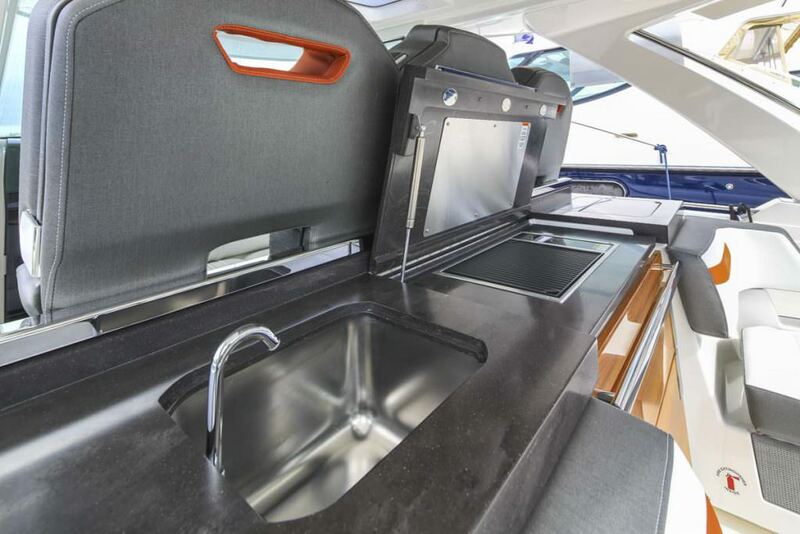 An outdoor galley provides space to entertain guests. 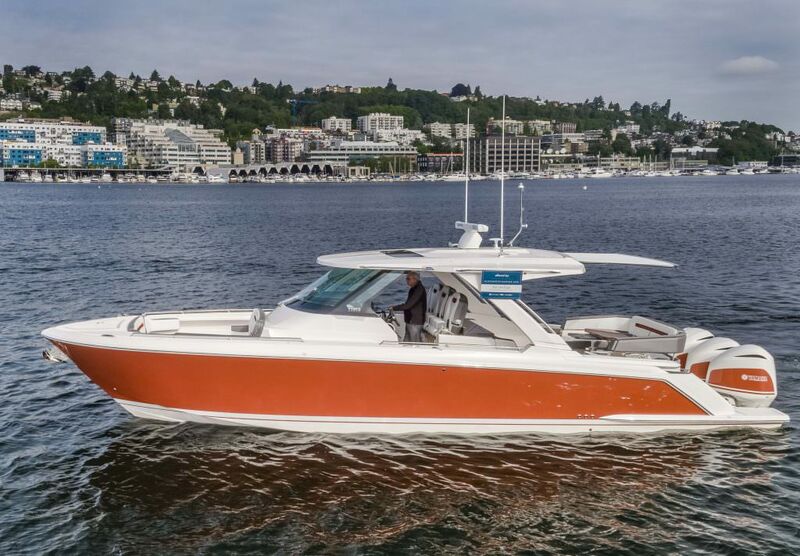 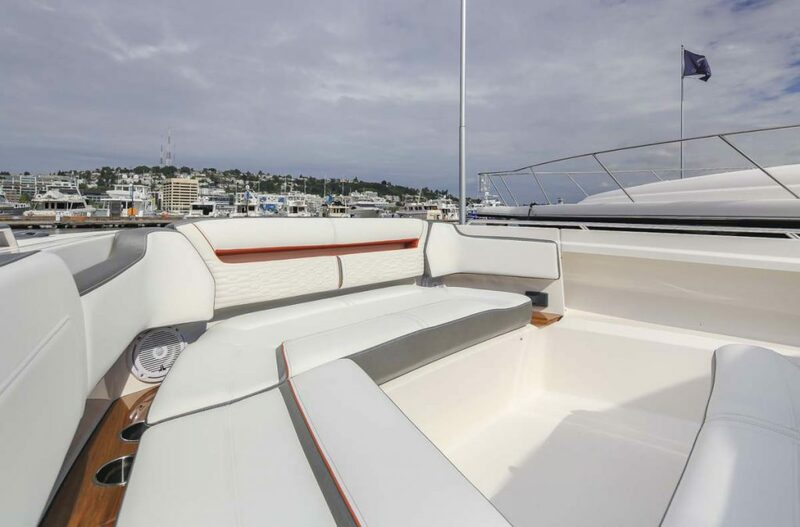 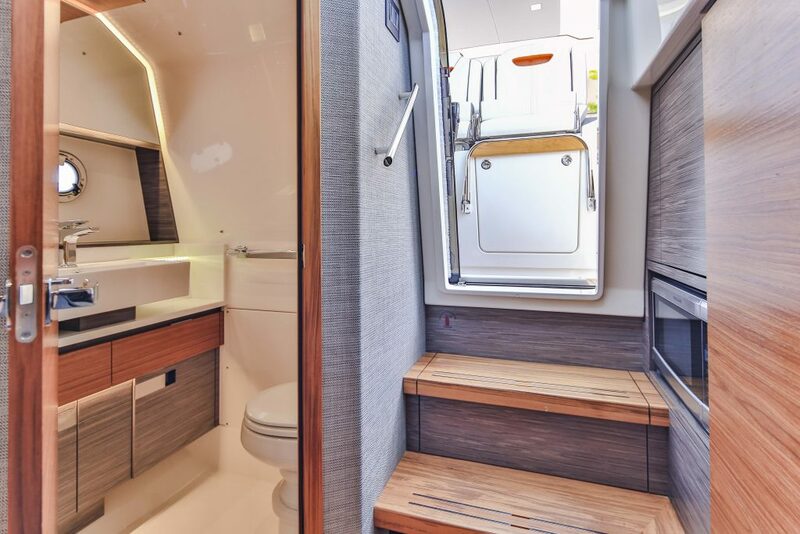 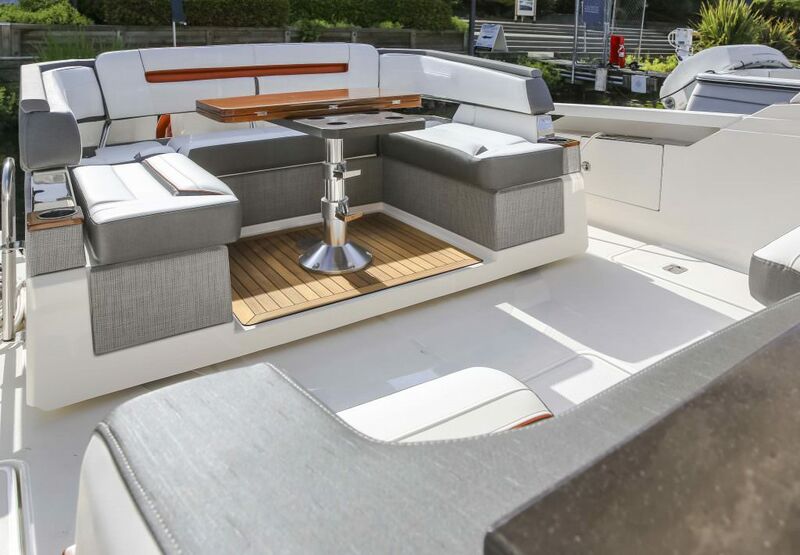 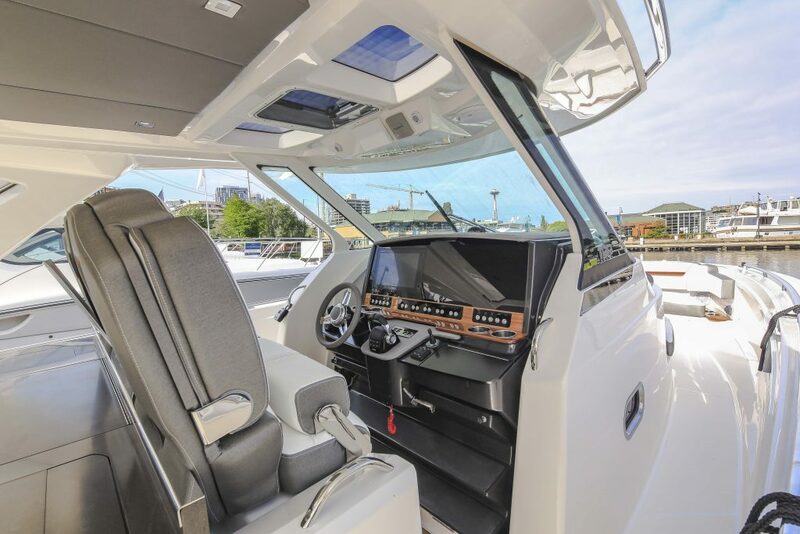 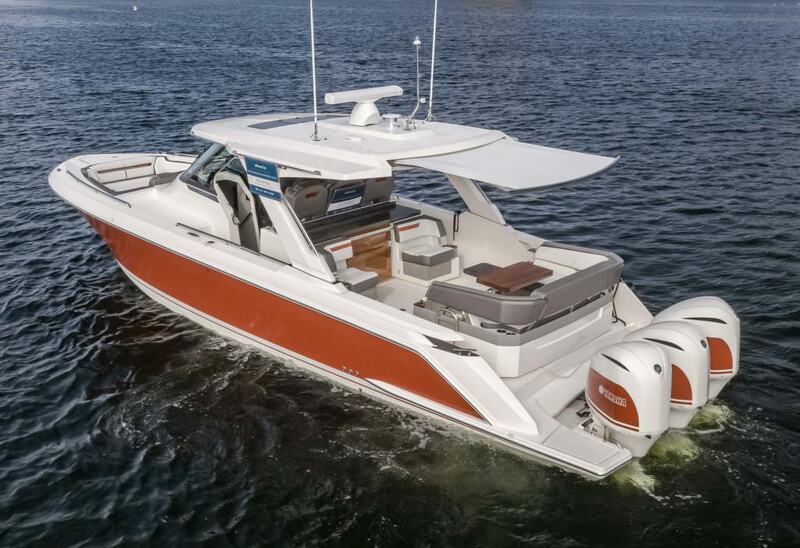 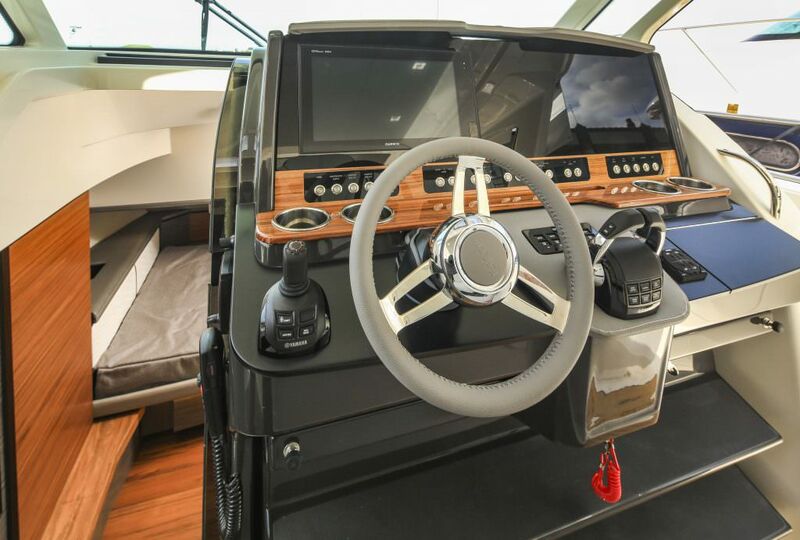 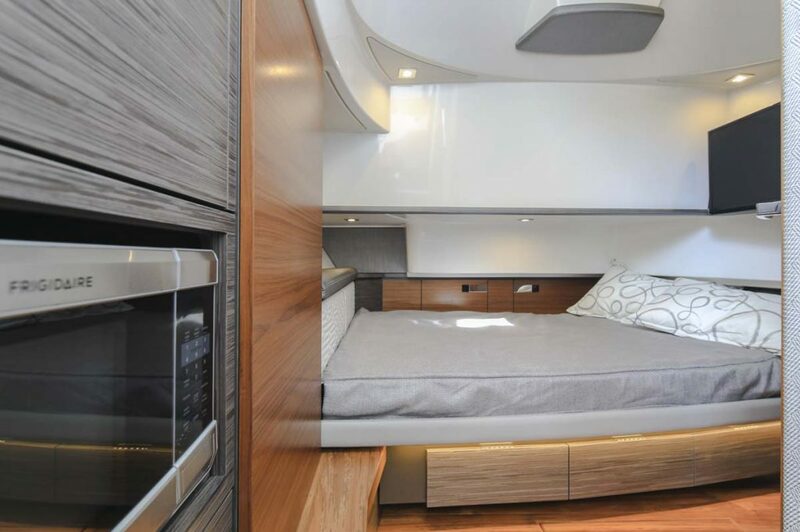 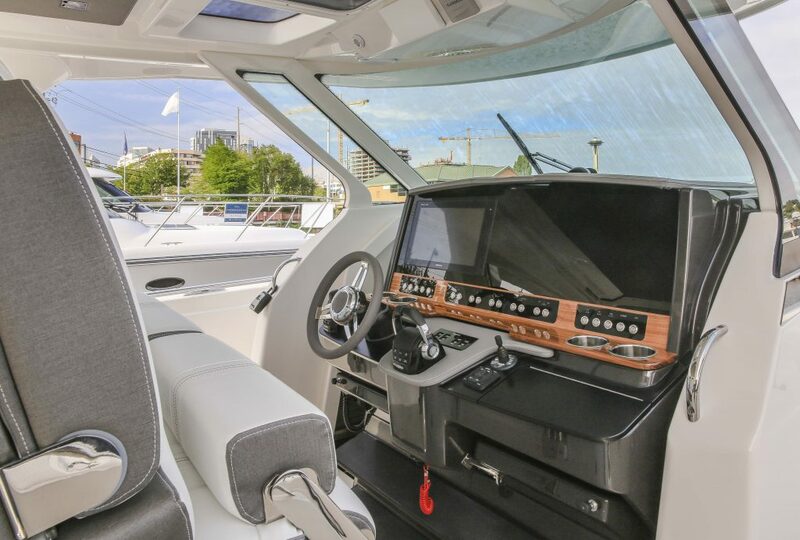 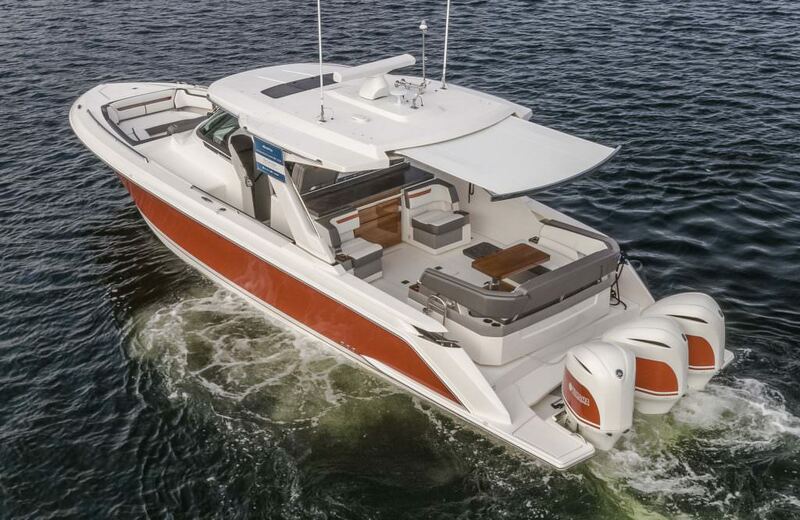 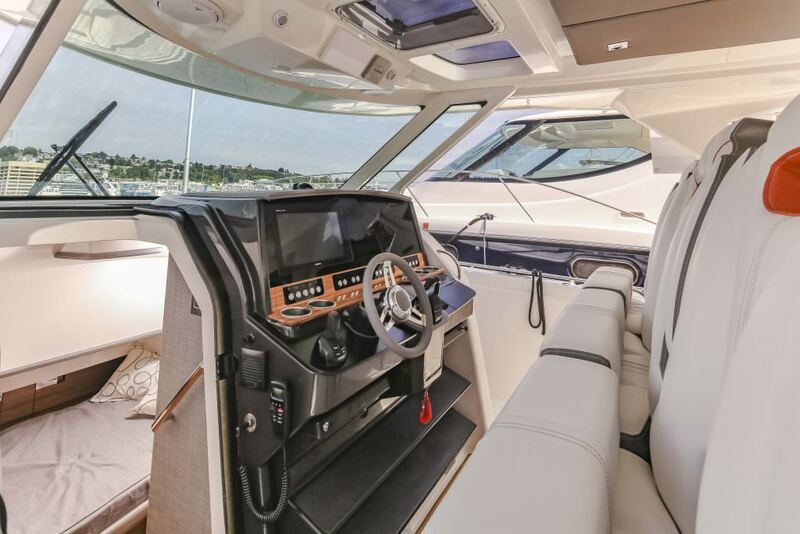 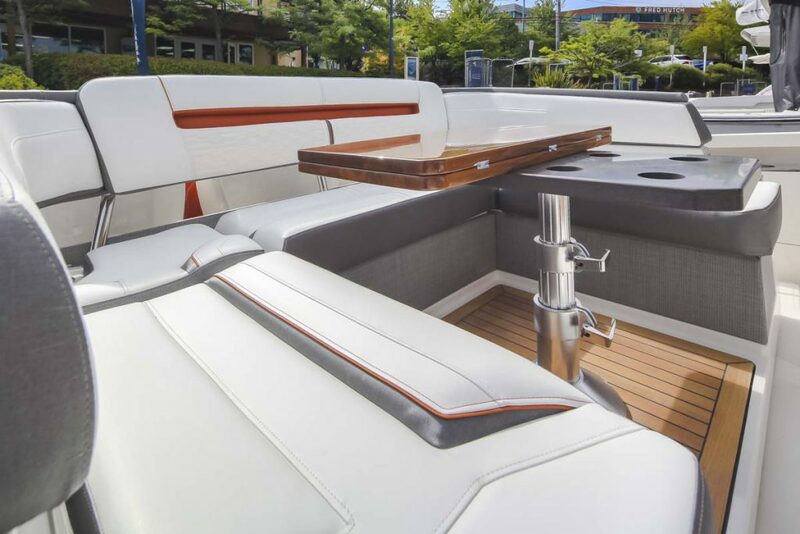 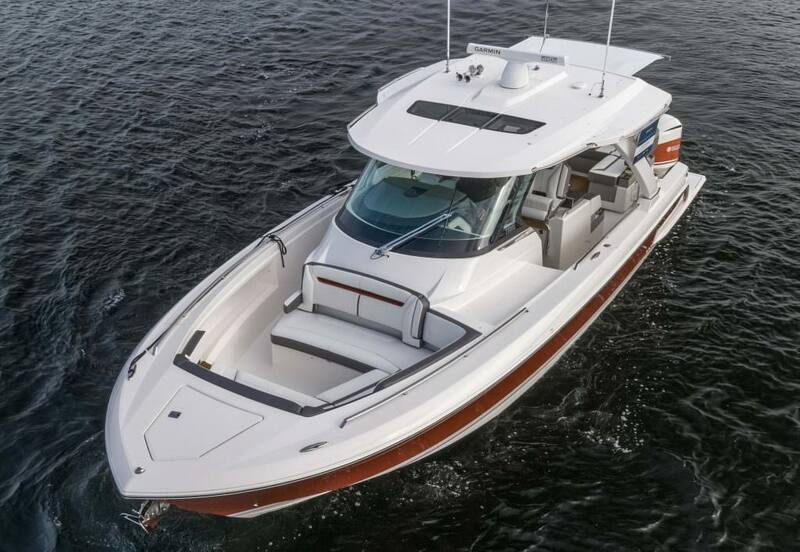 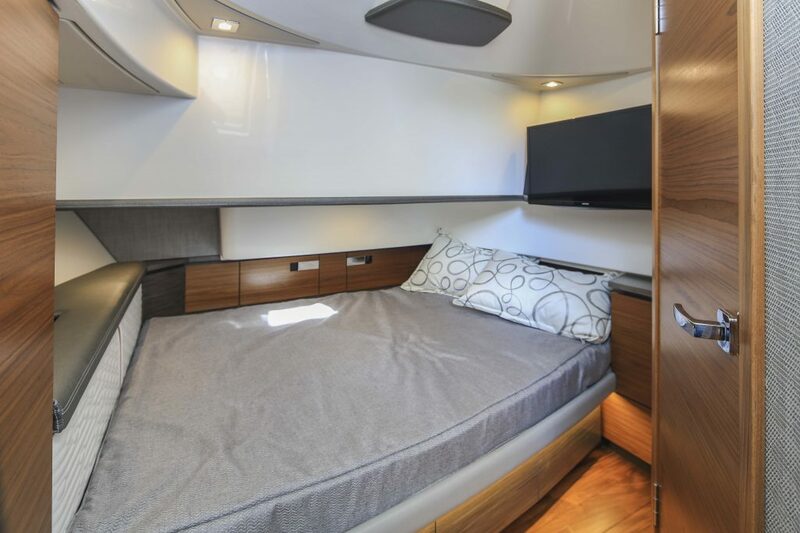 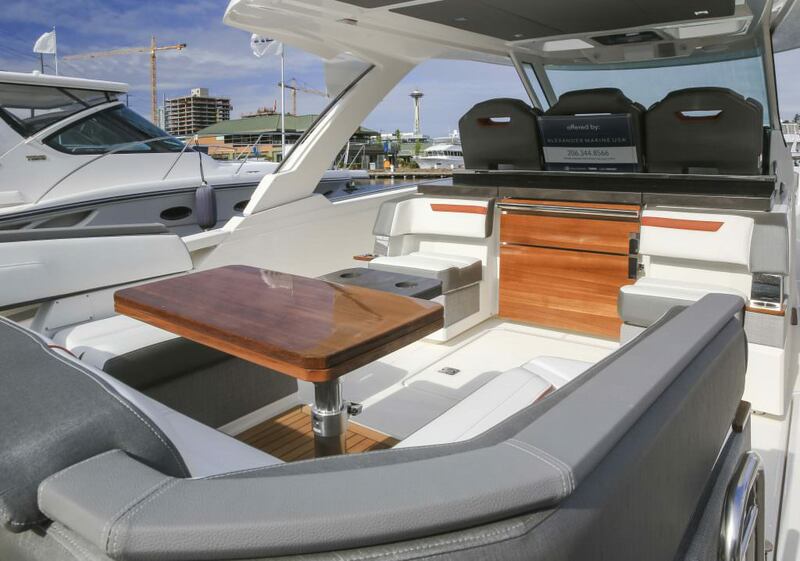 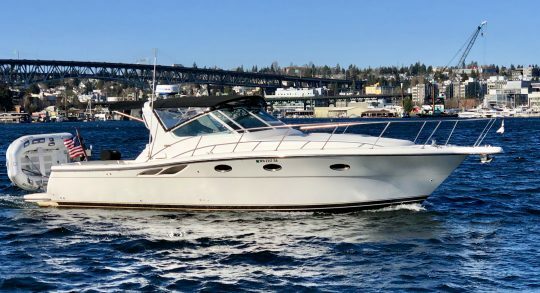 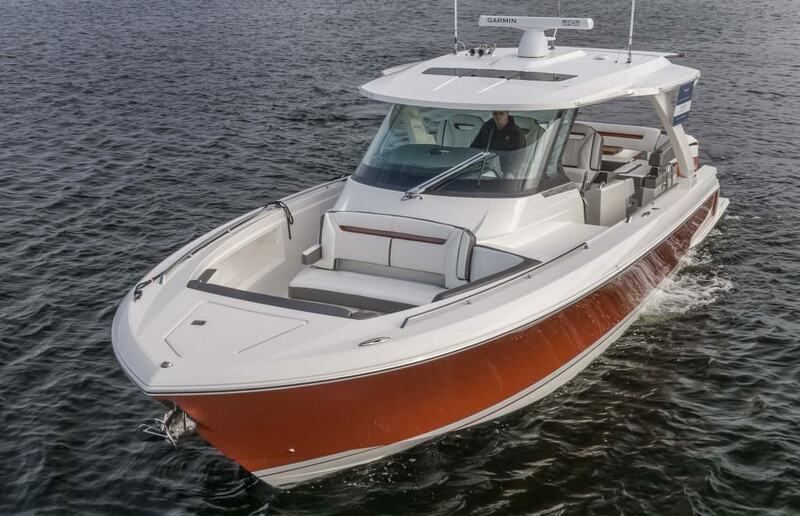 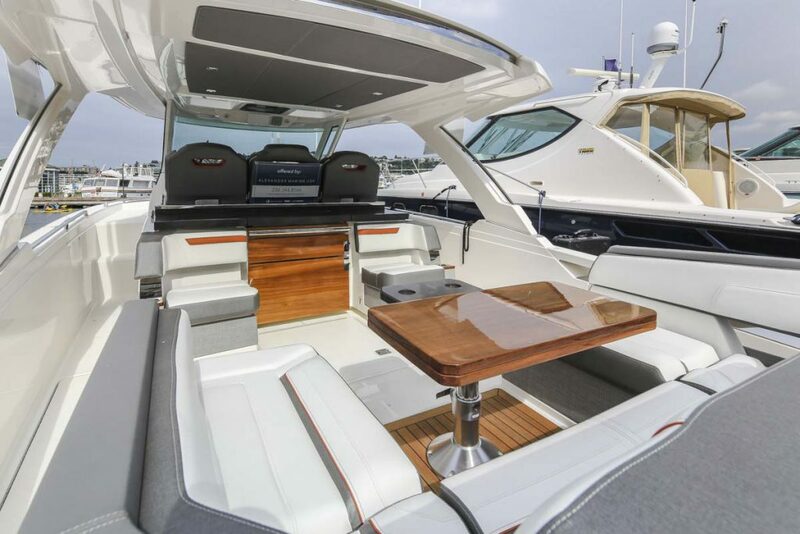 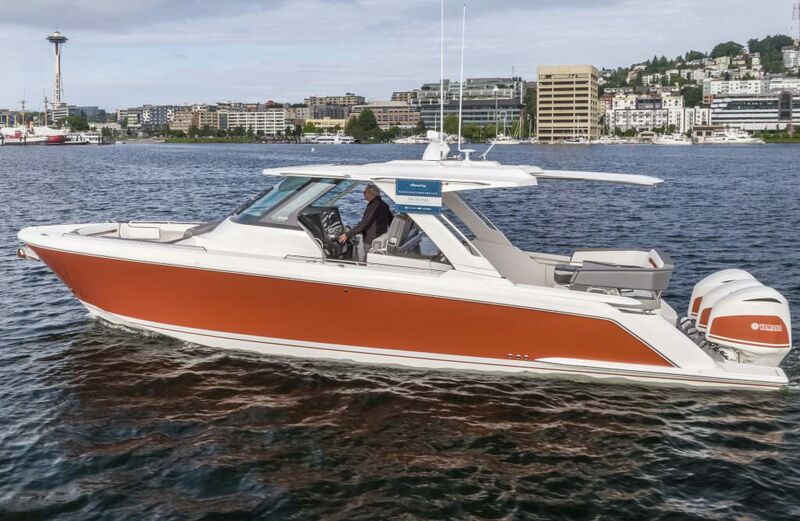 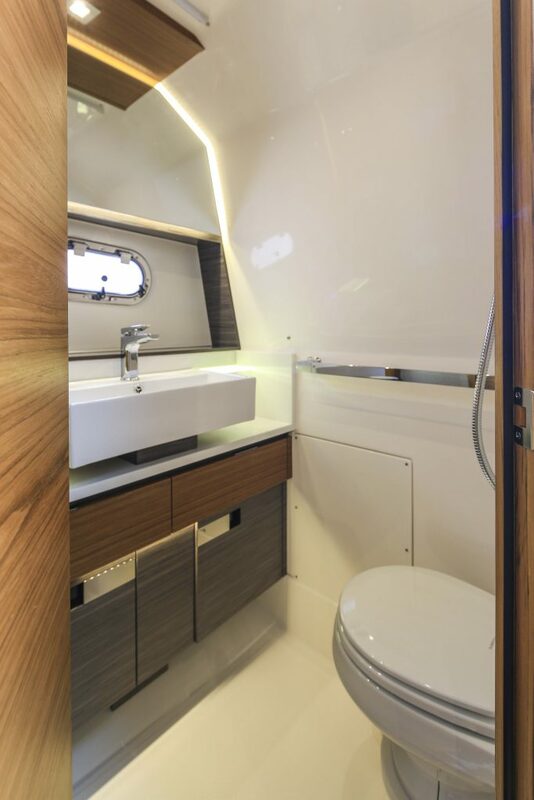 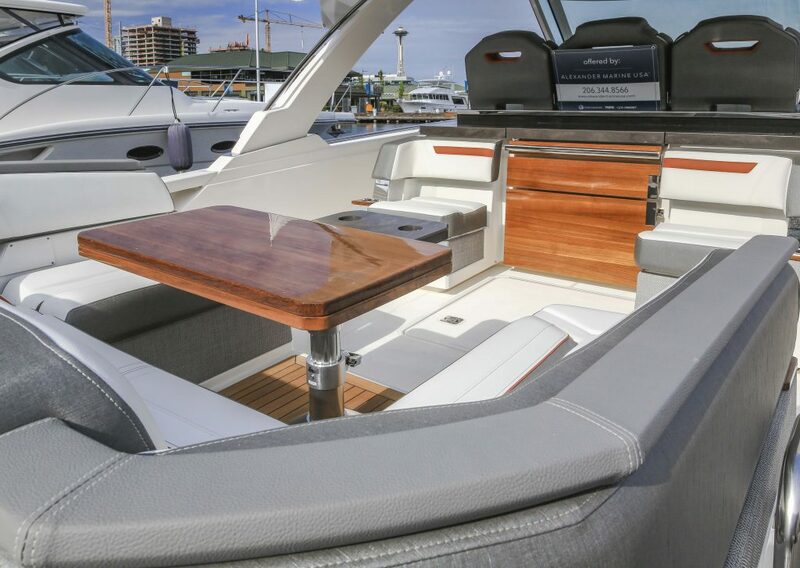 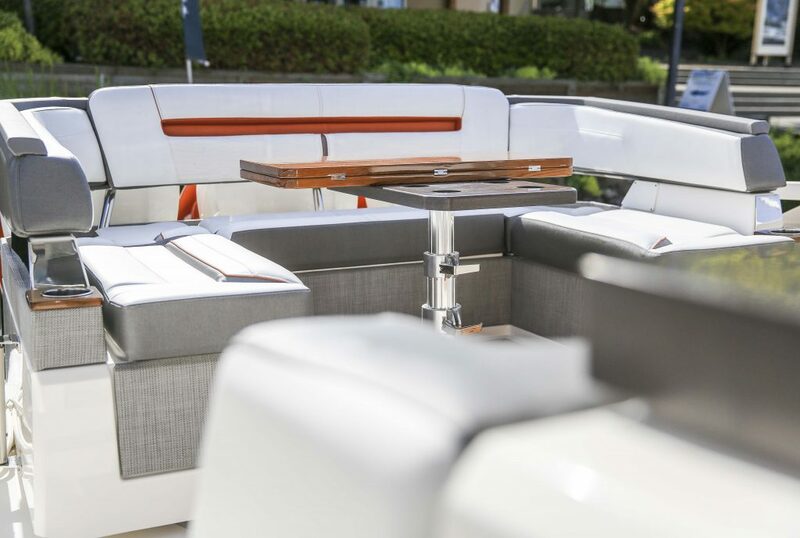 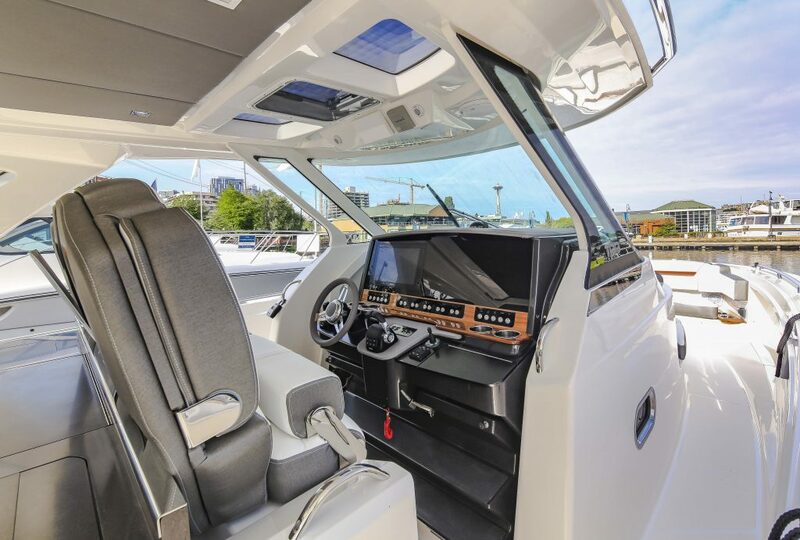 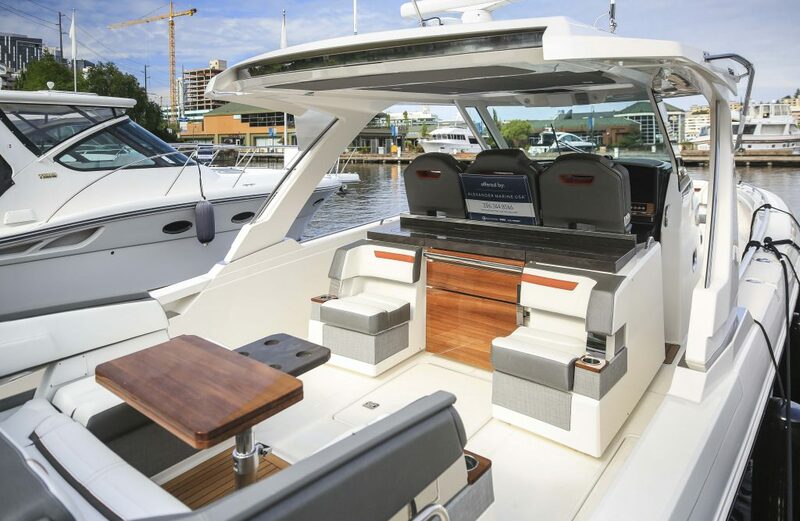 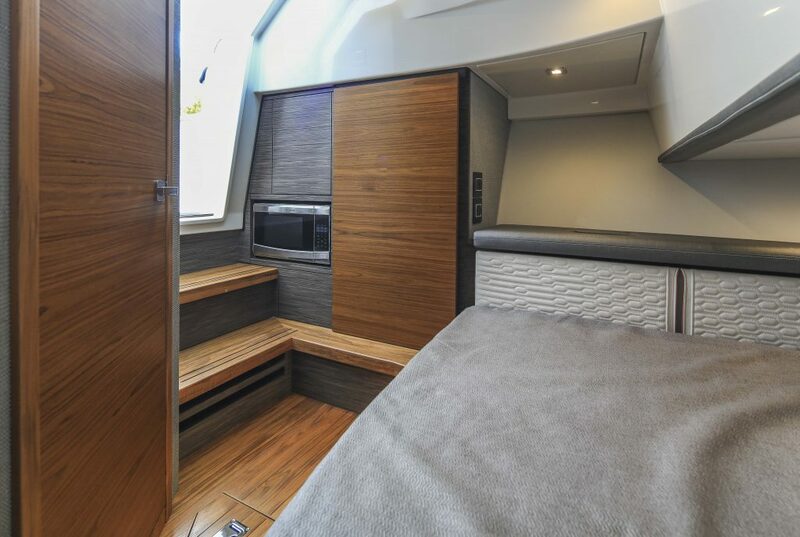 You’ll find luxury lounging via convertible sun pad, elegant cabin and aft cockpit areas. 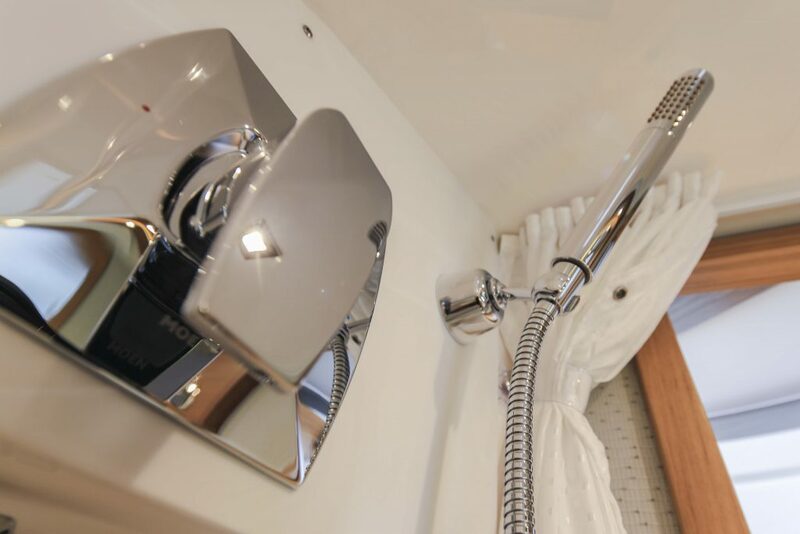 Below deck, find accommodations where you can easily overnight in the well appointed cabin. 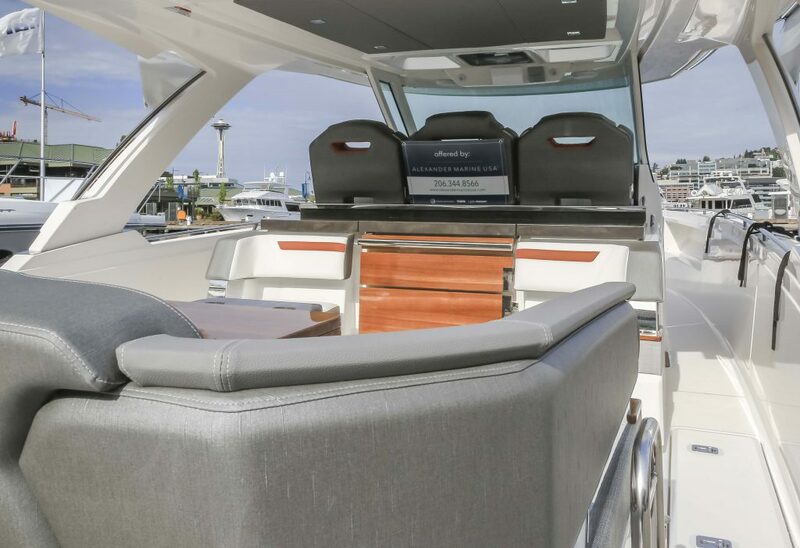 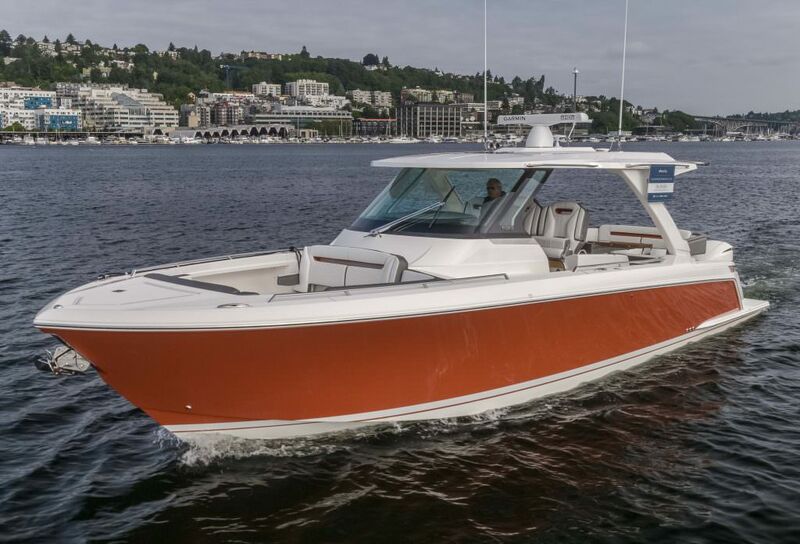 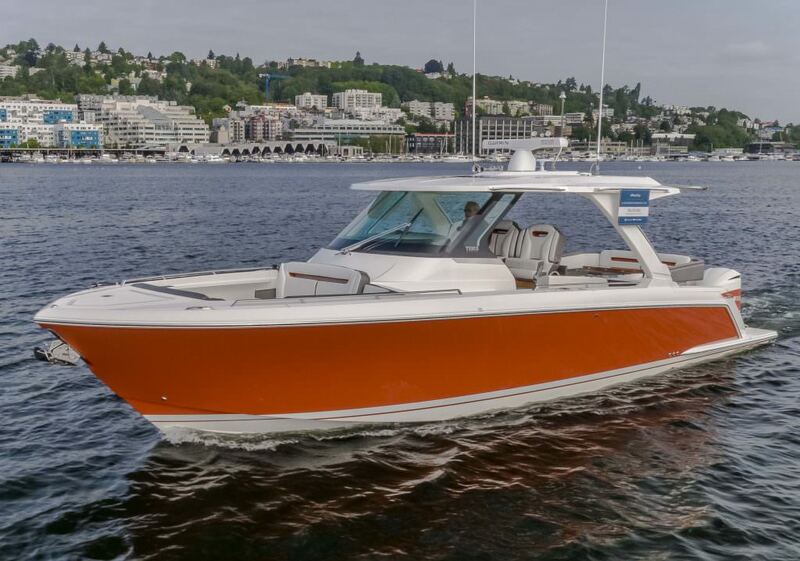 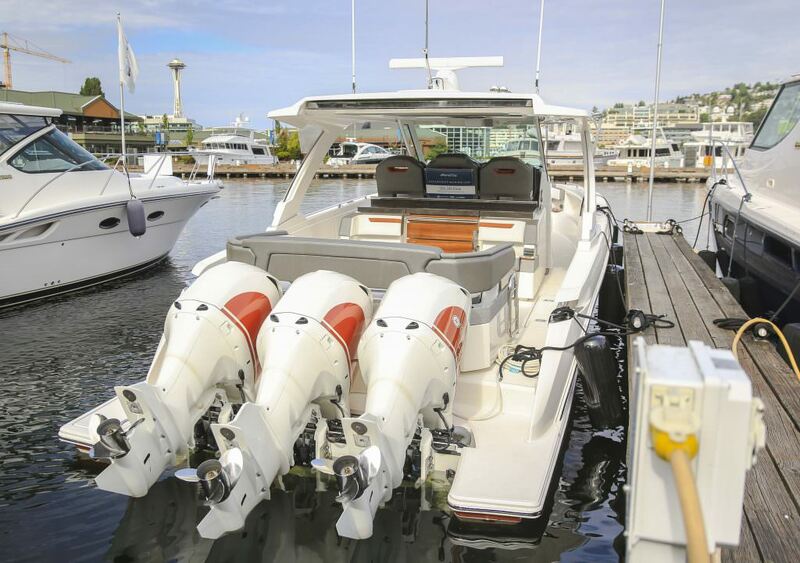 Traditional, nautical accents combined with modern elements and upholstery details elevate the overall sport form of the LS product. 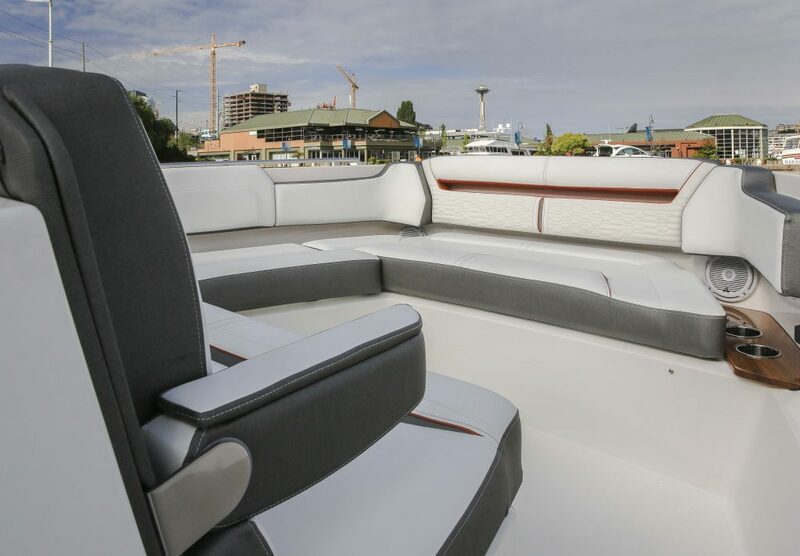 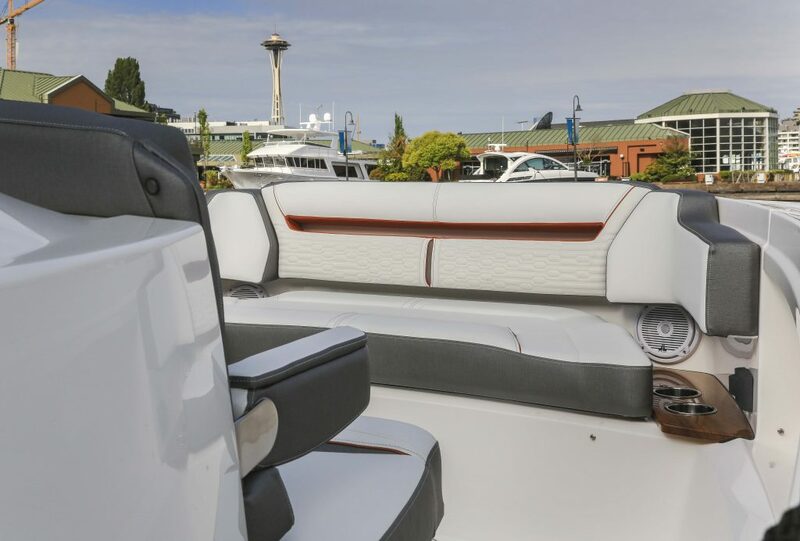 The elevated upholstery includes all new bases, stitching, color accents and materials that highlight and complement the athleticism, design and use of the product. 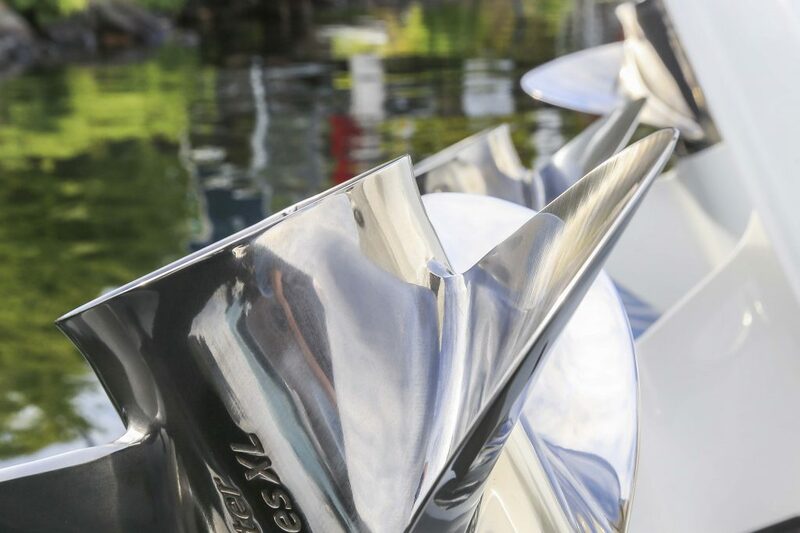 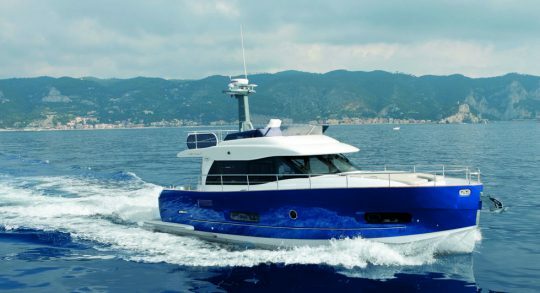 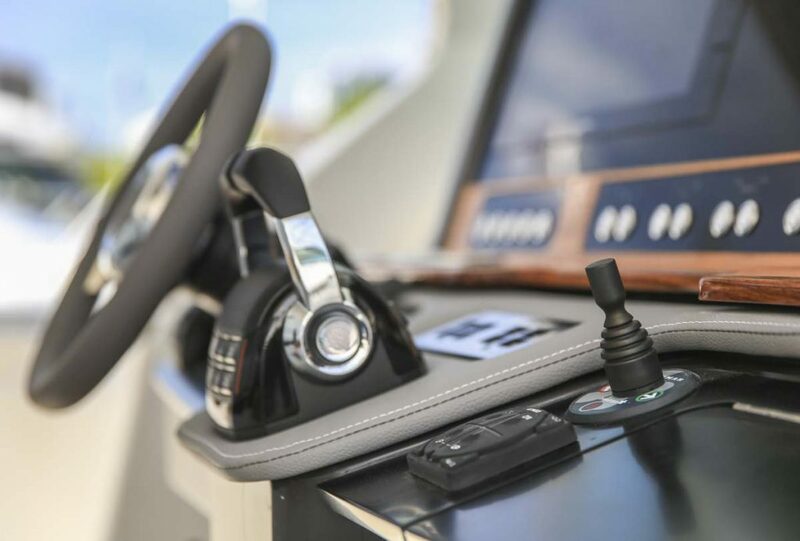 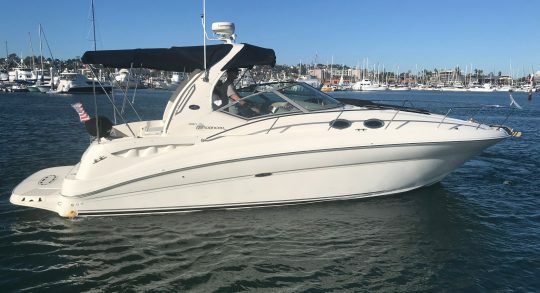 Tiara Yachts' transferable limited warranty: Five (5) years on hull and deck; Two (2) years on accessories. 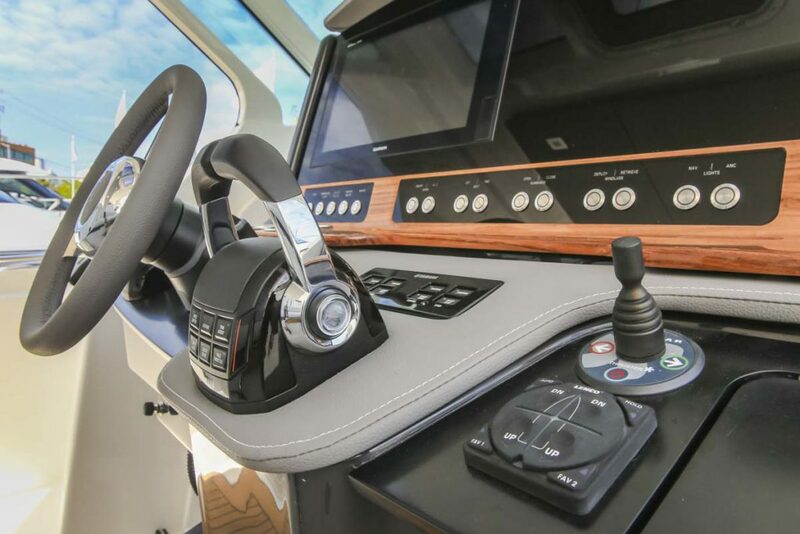 Pumps with Monitors at Helm; One Forward, One Midship, and One Aft.